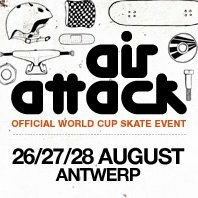 World Cup Skateboarding was generous enough to refrain from removing the women’s vert division from their schedule for Air Attack, in Antwerp Belgium. Now the challenge lies in getting enough sponsor support to get the skaters out there. In this situation, there is strength in numbers. The more women that can make it, the stronger the statement will be to encourage WCS to continue putting on women’s vert events. The Poseiden Foundation for putting on events like this that will encourage a strong showing of female riders throughout this summer’s WCS European tour and encourage girls around the world to pursue skateboarding. As for me, I’m keeping my fingers crossed for Belgium. But for now, I’m filming for the documentary back in So.Cal. The past week consisted of shooting skating and interviews with Hunter Long alongside Julian Bleecker, Lizzie Armanto, Mimi Knoop and Gaby Ponce. I'm lurking in the corner as Hunter Long tucks a FS air in Venice. photo: JCB. We now have producer Brian Lynch on board, full use of Annenberg‘s computer labs, and a generously-loaned Canon from Sam Colen. Production is in full-force and all is going well. Keep an eye out for a trailer coming your way soon!